The transaction status mechanism in Bkper safeguards your finances, giving you full control of the data that enters your finances. 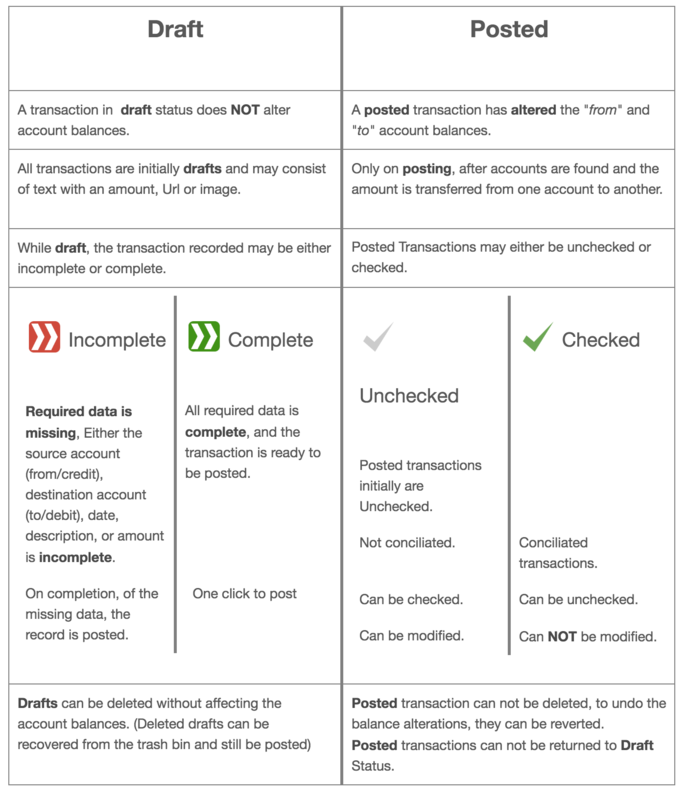 The transaction status can be Draft or Posted. New Records initially enter your book as Drafts not altering balances and the text entry can be completed or adjusted before posting the transaction to your finances. Posted Records actually altered balances and they can be checked or unchecked to mark their conciliation or not. When a transaction is recorded in the system, the text is interpreted by the Bookbot, that scans all data to find the accounts automagically. Depending on the completeness of the text on entry and by the Bookbot the initial draft is either recorded as complete or incomplete. Over time Bkper learns about the texts entries and the more records are completed (either manually or automatically) the more likely Bkper records drafts as complete. If no value/number is provided bkper can never record drafts as complete. 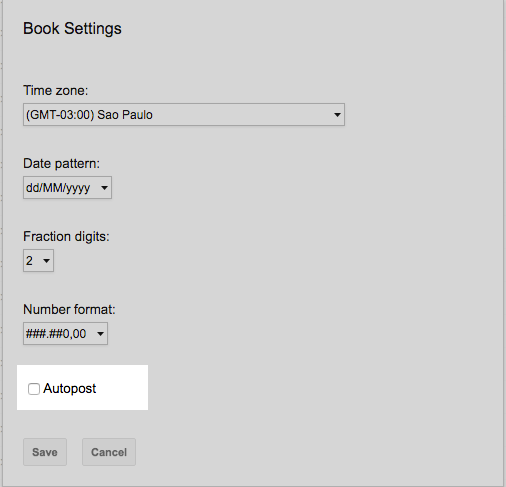 Turn autopost on when your Bookbot completes all entries correctly.